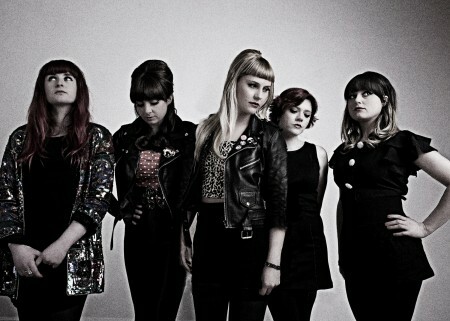 September Girls are a five piece girl group hailing from Dublin, Ireland. Once described as "sounds from a transistor radio abandoned in a rural cinema", this is reverb soaked noise pop of the finest order, with distant layered harmonies, swirling organ, and distorted guitars. Their sound recreates a "Girls In The Garage"-aware take on Spector's wall of sound. Formed in September 2011, the band released a cassette on Glasgow's Soft Power label in April 2012, which sold out worldwide within a week. Their summer was spent recording and writing in their practice space, followed by a successful tour in the UK including a lauded performance at the cult Indietracks Festival. Autumn sees the band return to the UK for more shows alongside the scheduled release of a trio of 7 inch EPs with Soft Power Records in Scotland, Matinée Recordings in California, and Art For Blind Records in Ireland.